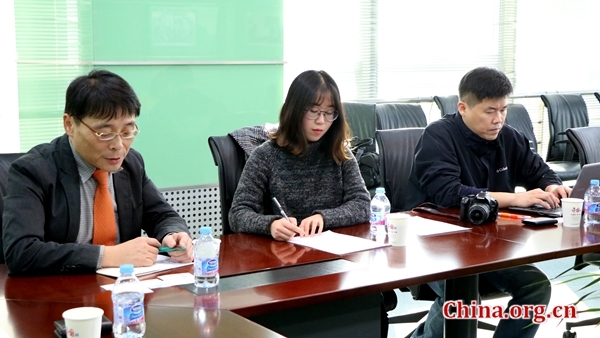 A group of experts from think tanks of ROK and China exchanged their views on the Korean nuclear issue and discussed the problems affecting trust between China and the ROK during a round table in Beijing on Nov.1. All the experts agreed that countries should continue to honor the guidelines of the Nuclear Nonproliferation Treaty (NPT), and that DPRK's nuclear development activities are in violation of international law. Further to this consensus, Cho Seoing-Ryoul, senior research fellow from the Institute for National Security Strategy in South Korea, said that a nuclear North would have a big impact on Northeast Asia. It could trigger a domino effect. He attributed ROK's recent frequent engagements with Japan and the United State as a nuclear deterrent to the DPRK's. Why does the DPRK resort to nuclear development in defiance of the international community? 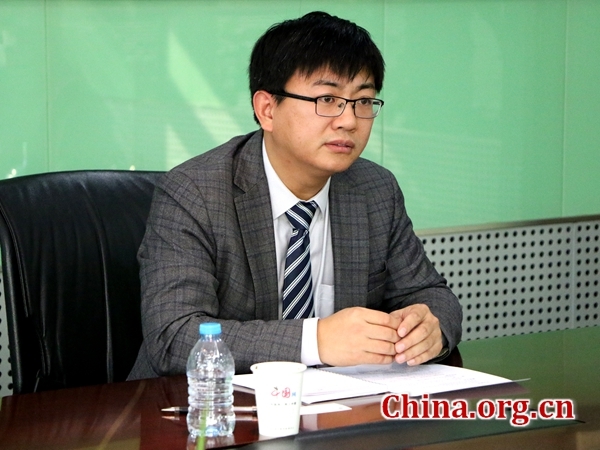 Liang Yabin, associate professor from the Institute for International Strategic Studies of the Party School of the Central Committee of the CPC, said that the DPRK's nuclear and ballistic missile development programs are a rational judgment that suits its own interests. "Since the DPRK is far behind the ROK in so many ways, in order to realize its dream of becoming a 'great' country; nuclear is the only game chip that it may use to outperform the South," Liang said. "Moreover, through nuclear development, the current DPRK government has effectively united its people. In this regard, the DPRK's nuclear development is in line with its own interests." He added that as the two most important neighbors of the DPRK, China and the ROK should play their due roles because "other countries can step aside while we cannot." However, Cho didn't agree with the idea. He said that although DPRK leaders might consider it a rational choice, the international community does not think the same. In order to unite its people, the economically backward North should work on developing its economy rather than desperately developing its nuclear ability. Despite the 1953 armistice, the North continues engaging in nuclear development as an excuse against the threat from the United States. Cho is also the president of the Korean Association of North Korean Studies (KANKS). Whether the DPRK has already become a nuclear country? According to Cho, most people in ROK believe that the DPRK is not a nuclear country, though they consider this scenario to be just around the corner. Without effective counter-measures, the situation will over time advance further in the DPRK's favor. Liang said that opposing conclusions will result in two different approaches: taking the DPRK as an irrational country and shutting it away from other countries; or, taking it as a rational country and dealing with it through repudiations, of which there are two methods - namely military strikes and sanctions. Liang further discussed China's concerns over the issue. "Though the DPRK lacks the ability to project military power, as long as it can detonate a nuclear device, northeast China will bear the brunt of the nuclear catastrophe. And the refugee problem is another concern for China. Once the North collapses, most of the refugees will head towards northeast China. The current Syrian refugee issue is a contemporary comparison. It remains to be seen whether China has the ability to handle such a tricky issue," Liang continued. 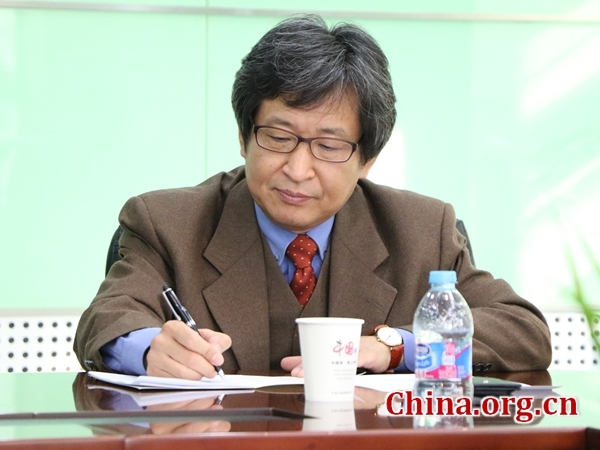 Kim Sangsoon, president of the Korea-based East Asia Peace Research Association, believes that China and the ROK must work out the correct direction of their plans. "A priority is to identify common ground," Kim said. "As long as each side gains a deeper understanding towards the other, the differences can be overcome." Kim is also a research fellow at the Charhar Institute.